For moves that will take you beyond your local area, Traditional Moving will go the distance. Long Distance moving is any move over a 25 mile (40 km) radius of the city. Picture it: you just got transferred to the Toronto branch and they want you to start in a week! Don’t worry Traditional Moving has your back. With a full-service long distance move we take care of all functions of moving – from the professional packing of your fine china, to the moving of your furnishings, and setting you up in your new home. The cost of this type of move is based on the weight of the goods shipped, and the distance that they travel. A full service move can be streamlined to meet your budget. We’ll professionally pack all your fine china, glassware and breakable items depending on your needs and budget. Please note – all self-packed cartons travel at the owner’s liability, unless there is visible damage to the carton in transit. 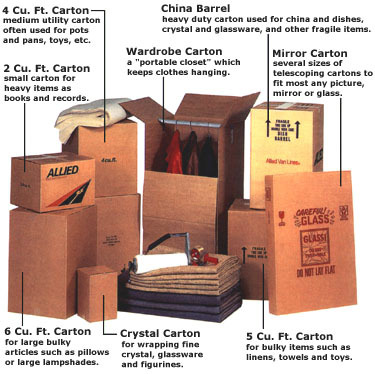 You can buy professional moving cartons direct from us, so you can self-pack your belongings. If you choose to go this route just remember it’s probably a good idea to buy more than you think you need. Click here for more information on moving cartons. This one’s pretty self-explanatory – you supply the materials, you do the packing. Depending on how much Traditional Moving packs we can cut your moving cost in half. This service is designed to help you get a few pieces to someone in another urban center. It’s also the most cost effective way to send furniture long distance. Some restrictions apply so be sure to call or Email for more information on this particular service. Call us today for your local moving needs, we customize your move to suit your budget. Our moving consultants will provide you with a free, no obligation estimate on your costs.